Naala-Ba in Dharug language is an apt description of the three works presented here for ISEA 2013. 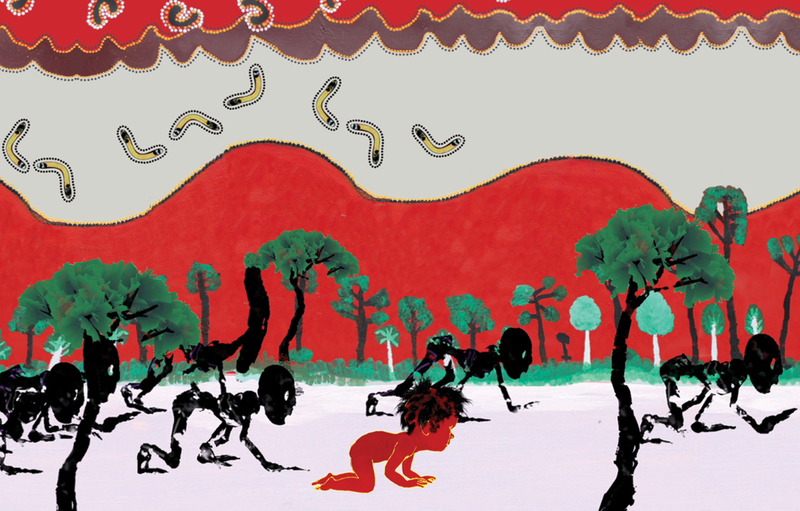 The works span from desert country of the Pilbara in Western Australia, depicting fearsome ancestral stories; across the continent to the metropolitan hub of Brisbane, Queensland’s capital city, to view portrayals of the ongoing fight against neo-colonial oppression; then down to the NSW central plains in Riverina country, to gain an insight into some of the matriarchal customs and rituals that refuse to be bowed by the impact of colonisation. Presented by Carrigaeworks and ISEA2013.